You'll find yourself in the lap of luxury when you sit behind the wheel of the new 2019 Lexus ES. 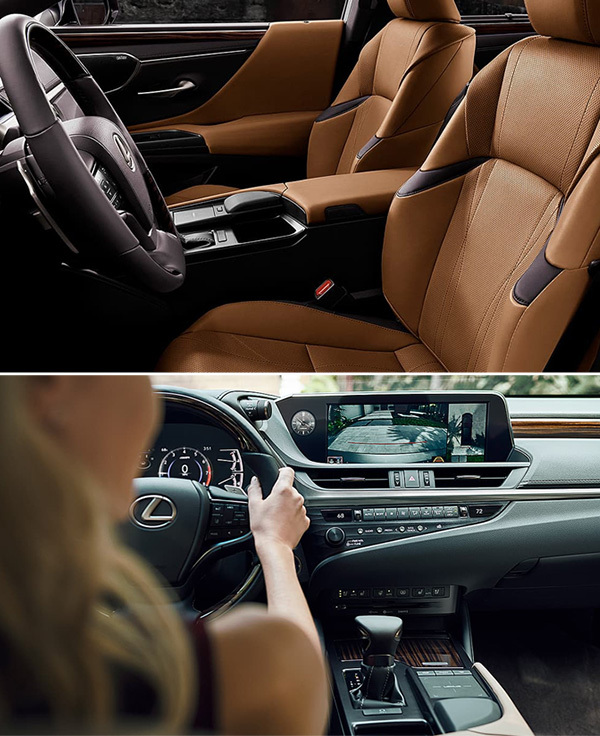 With the impressive suite of 2019 Lexus ES 350 interior features and technology, you and your passengers will experience optimal comfort and entertainment on each journey. Opt for the Lexus ES 350 F SPORT trim, and you'll stand out on the road in superior style like never before. While each 2019 Lexus ES trim offers respectable mpg ratings, you'll save even more on gas if you buy a new 2019 Lexus ES hybrid model. If you're ready to learn about the 2019 Lexus ES 350 prices, your Lexus ES lease options and more, contact our Lexus dealership in Margate, FL! Whether you choose to ride away in the 2019 Lexus ES 350 or the Lexus ES 300h, you'll take on Florida's roads in style. Contact our Lexus dealership in Margate, FL, to schedule a Lexus ES test-drive. We're happy to answer any questions about 2019 Lexus ES prices and go over your Lexus lease options!